Conditions of growth: That Pinot Noir is planted in a calcareous clay soil. The deep-rooted vines avoid most of the problems associated with drought. Winemaking method: The grapes are harvested by hand and the whole berries are pressed. 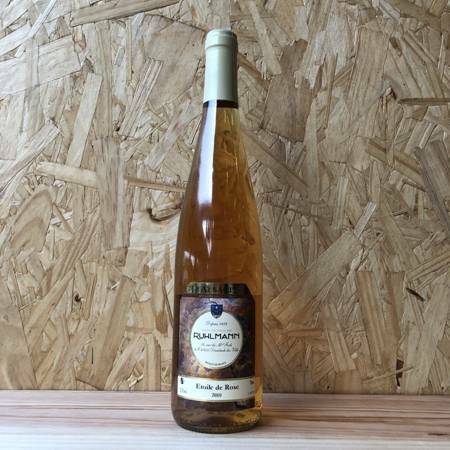 This wine is very lightly coloured, as it is made by straight pressing, like a white wine. Traditional fermentation is through a temperature-controlled process and ageing takes place in vats. Colour: Golden yellow, with pink highlights. Nose: A clean, mineral bouquet mingles with nints of red berries, typical for a Pinot Noir. Mouth: Soft, round and fruity. Well-balanced, with mineral notes once more. A good length and overall harmony make it a very pleasant and sophisticated wine. Our advice: The result of extensive research and development. This atypical Alsacewine is presented in an uncoloured bottle to display its superb color. Serve as an aperitif or with exotic cuisine or with dessert. On almost any occasion it will amaze and delight you.